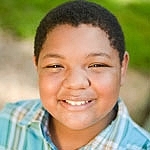 Antonio is 14 years old African American young man. He loves listening to music, and like most boys his age, he enjoys watching TV, playing video games, and being outdoors. In addition, he enjoys playing cards with friends. He enjoys a balance of being active and getting involved in new activities and relaxing and spending time alone at home. Antonio is articulate and likes to talk to people once he gets to know them. Antonio wants a loving, structured family that will give him the love and support needed to be successful in life!